Most travelers typically make their way to the major square of a big city when exploring. Here are a few of the world’s most iconic squares. 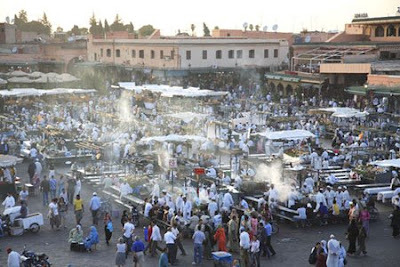 It is impossible to just walk through Marrakesh’s Djemma el-Fna. You’ll be sidetracked by performers of all sorts, colorful water sellers and at night endless rows of outdoor food stalls. 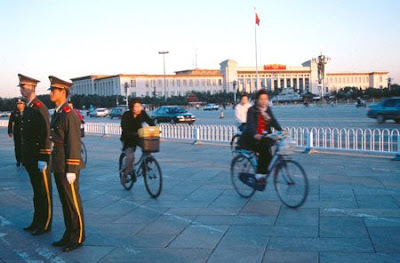 Museums, government buildings and the entrance to the Forbidden City flank Beijing’s massive Tiananmen Square. 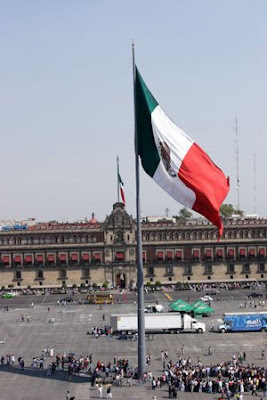 Mexico City’s Zocalo sits on the site of the ancient Aztec capital of Tenochtitlan, which was conquered by Spain centuries ago. You can still see Aztec dancers and shaman perform their ancient rituals. 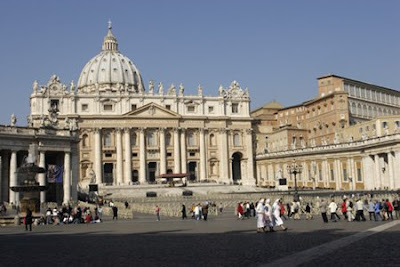 St. Peter’s Square in Vatican City is where many come to see the Pope give his blessing and to take in the beauty of the Basilica of the same name. 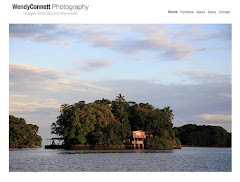 What iconic squares of the world have you explored or would like to? I'm afraid I've only been to the last one on the list. I've would of added Piazza St.Marco from my travels or Trafalgar Square. This is a great round up, Wendy. Venice's St. Marco's Square is my all-time favorite. I love all the colorful people milling around and even the pigeons. Like this series, Wendy. I like Connaught Place in Delhi. Well its a circle - not a square. Does it still count? Nice collection. Out of this list I have seen the last one. And some more from around the globe. St Marco is one of them. I'd like to include the Old Town Square in Prague to the list! I love it there! Blogtrotter has Akbar’s capital city for you. Enjoy and have a great weekend! Hi Koala, Fly Girl and Cuckoo, I'm with you on St. Marco's. Hi Jamila, The men with snakes were pretty aggressive. Hi Final Transit, I would love to see the Red Square. Hi Kaylan, I like Connaught Place as well. Hi TravelandTrips and Lakshmi, Thank you! Hi Anne, Squares can def be the theater of life in any city. Jen, Old Town Square in Prague is gorgeous. Hi Gil, I'm not surprised that you've seen them all.